Overcooked is a chaotic couch co op cooking game for one to four players. Working as a team, you and your fellow chefs must prepare, cook and serve up a variety of tasty orders before the baying customers storm out in a huff. Sharpen your knives and dust off your chef's whites, there isn't mushroom for error and the steaks are high in these crazy kitchens. On the Nintendo Switch, you can now experience the crazy couch co operative action of Overcooked wherever you choose. Simply remove the Nintendo Switch console from the Nintendo Switch Dock to take your culinary adventures on the road, just like our plucky chefs travelling around the Onion Kingdom. 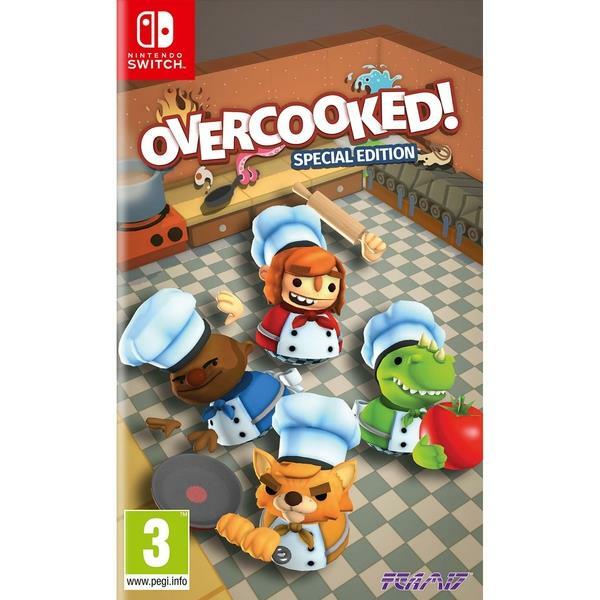 The Onion Kingdom is in danger and only the finest cooking can save it In Overcooked players must journey through a variety of cruel and unusual kitchens on their quest to become master chefs capable of conquering an ancient edible evil which plagues the land.